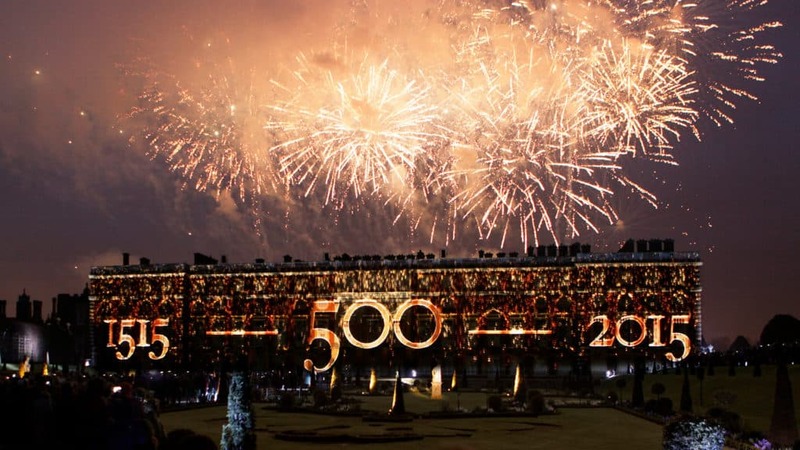 In 2015 59 Productions was commissioned to create a unique and celebratory opening event to the season’s celebrations at Hampton Court to mark the 500th anniversary of the palace. 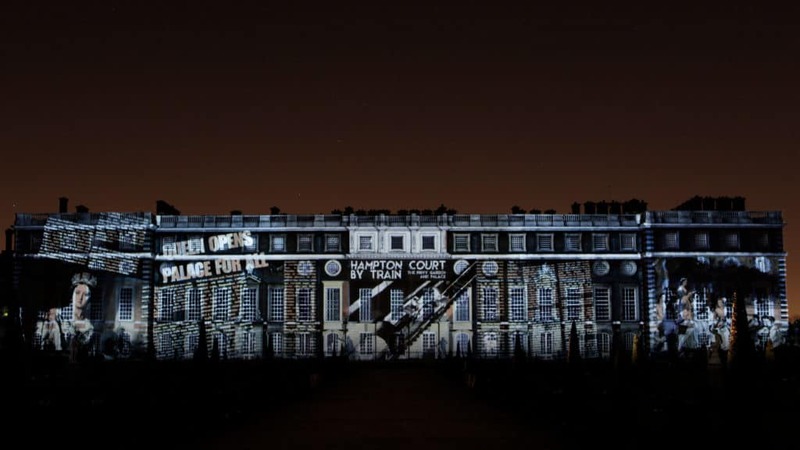 The spectacular final piece, which played for three nights over the Easter weekend, took place in the Privy gardens, overlooking the Baroque south facade, and comprised a 22-minute projected artwork which which told the architectural and cultural history of the palace, as well as celebrating some of the seminal events from the building’s past. 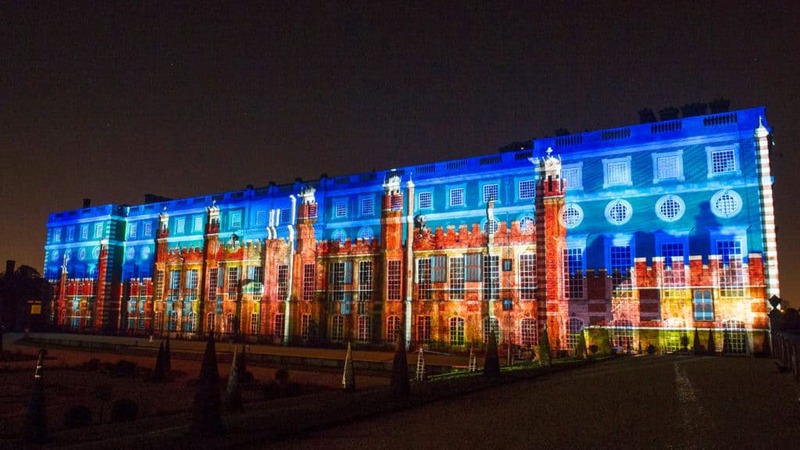 Beginning in 1515, before Cardinal Wolsey started his major building project, the audience witnessed the evolution of the palace in the hands of Henry VIII and the Tudor dynasty, watched the planned destruction of the palace by an ambitious William III and his Queen Mary II, and the eventual modification of the Tudor architecture into the Baroque East and South wings which stand to this day. 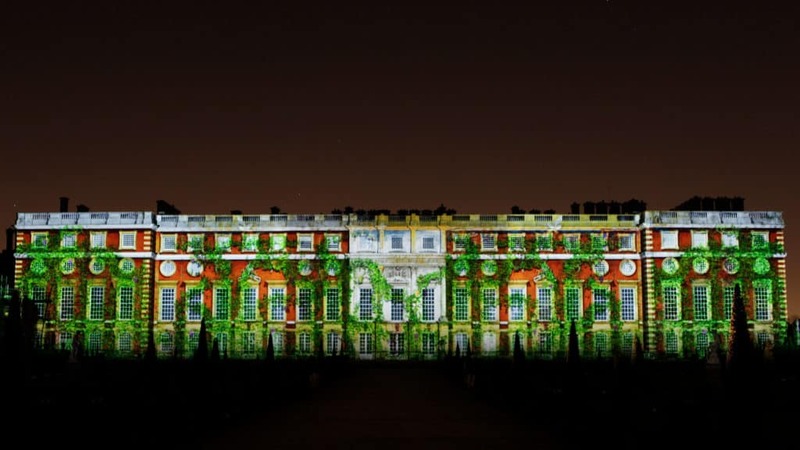 The audience was then taken on a soaring flight over the beautiful palace gardens and through the famous maze, before joining the rush of visitors to the palace when Queen Victoria threw its doors open to the public in 1838. 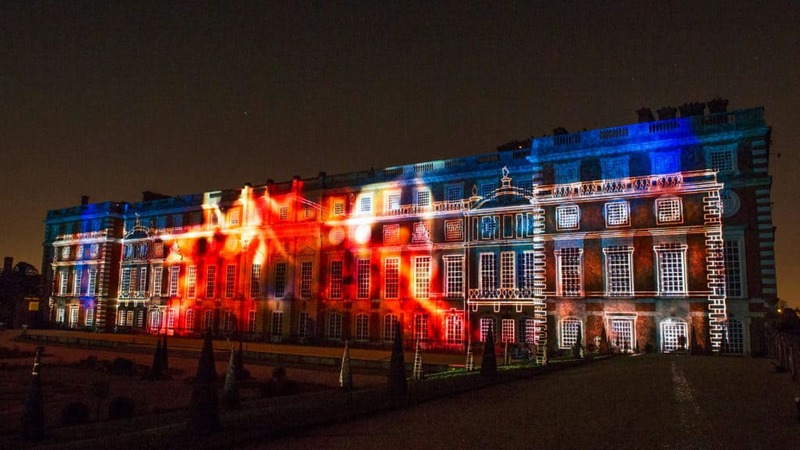 The explosive finale – set to music by Underworld – saw the palace come to life as never before, celebrating its place as a jewel in London’s 21st Century landscape. 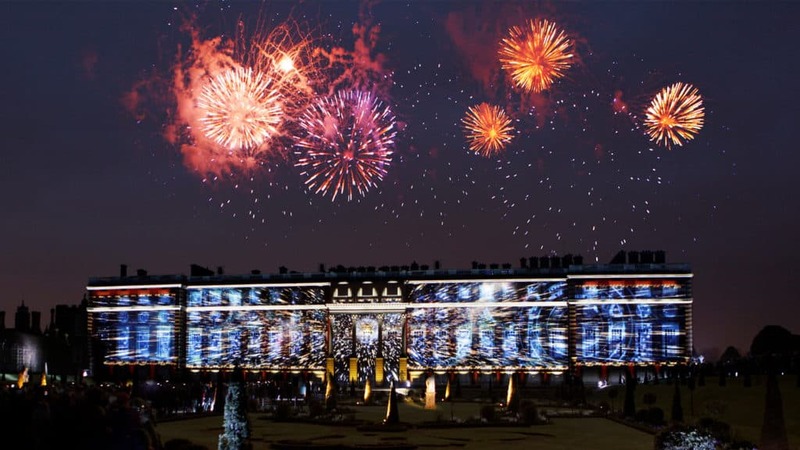 The show included a bespoke score from composer Paul Clark, and was accompanied by lights and – for the explosive 3 minute-finale, spectacular pyrotechnics, synchronised to the projection and the music. 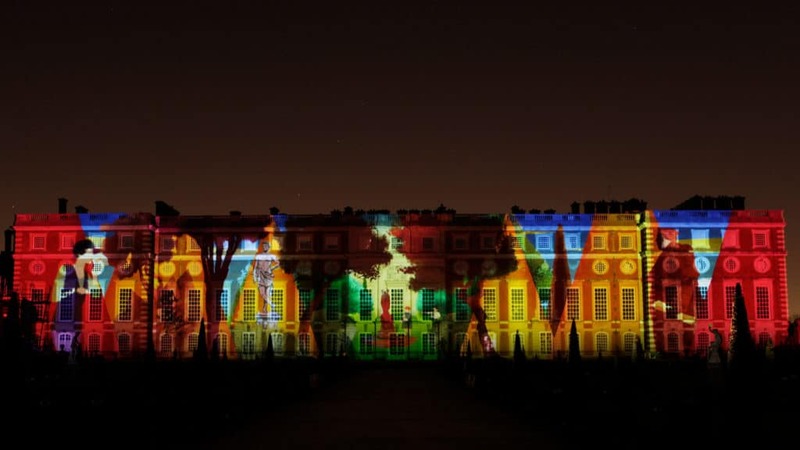 The whole event was conceived, directed and produced by 59 Productions, on behalf of Historic Royal Palaces.